« It’s A Bird. It’s A Plane. No its…. This weekend True North Mark and I headed out on the road to travel down to the Great Southern region. I think we managed to cover 1000kms in less than 48hrs and it certainly felt like we covered half the state. We left Perth on Thursday night and arrived at the Stirling Ranges very late that night but there was no time for sleeping as we headed straight up to Bluff Knoll. As luck would have it (insert sigh of disappointment here) we arrived on one of the very few days with no clouds in sight. We pinged off a few shots and headed down to our toasty cabin for the night. After Mark’s really loud alarm almost sent me through the roof we got up and headed back out to Bluff Knoll and managed to get a few pretty cool shots. We then headed down to the Porongurp’s but managed to miss them and ended up heading across to Denmark, Walpole, Manjimup, Nannup and ended up in Dunsborough early Friday evening. We had dinner with Christian and Mark and then next morning headed out with them to check out a new location near Smiths Beach and we were rewarded with a sensational sunrise. After that Mark and I hit Smiths Beach for a few more shots before heading home. The highlight for me was definitely Ocean Beach in Denmark, we got there just as the water was showing off its amazing colours. What a really cool and fun trip! 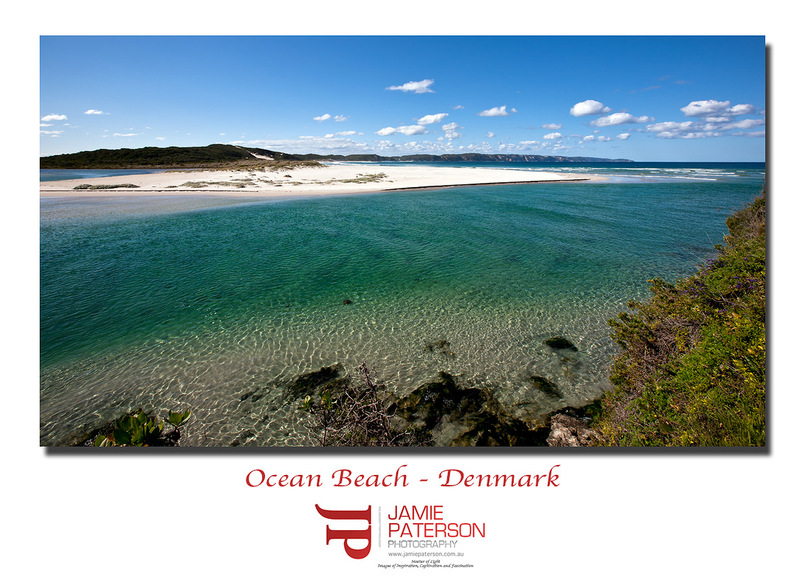 This entry was posted in Australian Landscapes and tagged australian landscape photography, denmark, ocean beach, seascape photography. Sounds like a good trip Jamie, but i’d take a week doing a trip like that. Time restraints make it hard i suppose. Hi Merv. Totally agree it would’ve been great to have more time, but we were really constrained with time. Blue Skies and water mate..can’t go wrong! Yep, time was against us but we worked with what we got! We certainly did mate and as always I learnt heaps. Thats a lota miles in 48 hrs….especially taking photos as well. The colour of the water really makes the image.